Discover the rich culinary heritage of the South with America’s favorite heirloom kitchen staple—the cast-iron skillet! 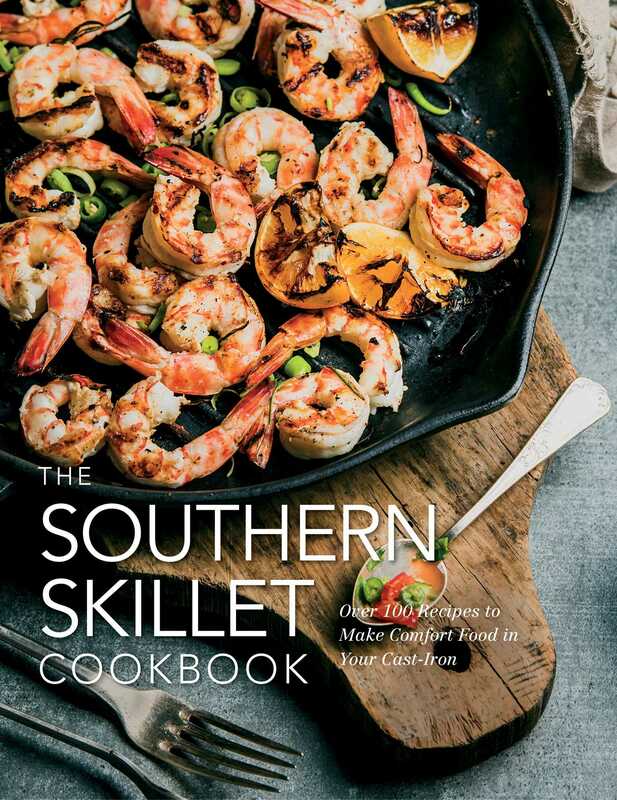 Discover the rich flavors and culinary heritage of the American South with The Southern Skillet Cookbook. Southern cooking and cast-iron go hand in hand, so there's no better way to recreate these heirloom dishes than with the help of everyone’s favorite kitchen tool, the cast-iron skillet. Each recipe is created with your cast-iron skillet in mind, and we’ve even included gluten-free and vegetarian variants for a number of dishes, making this the definitive cast-iron Southern cooking companion. Packed with all the classics as well as new twists on old favorites, these delicious, stick-to-your-ribs dishes are sure to be a hit with the entire family. Southern Skillet features gorgeous food photography, tips and tricks for the care and keeping of your cast-iron tools, and a wide range of recipes for every meal, occasion, or mood. …and many more! Southern Skillet is the perfect pick for budding chefs and experts alike.